This is the Converter Tube to fit a standard caulking gun. 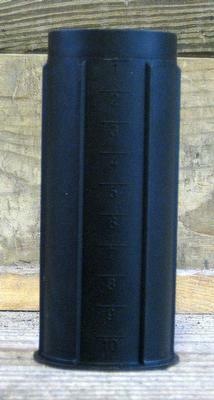 This allows you to use a standard caulking gun to dispense the "Stubbies" by Equilox Acrylic Hoof Repair by Equilox. Equilox Adhesive Hoof Repair is a flexible resin (acrylic) system. Equilox is used for repairing hoof wall defects, quarter crack repair, or reconstructing damaged hoof walls. It sets up in a few minutes, supporting the fullweight of the animal, and can be rasped, trimmed and nailed like a natural hoof.